Although I’m often going into Shibuya or Akihabara on the way to or from class, weekdays are usually very busy and there isn’t time to squeeze a substantial activity between club meetings, class time and homework. So I thought I would share with you some of the often kind of crazy and always wonderful things my friends and I get up to at the weekend when we have two whole days to spare! I’ll go in chronological order! 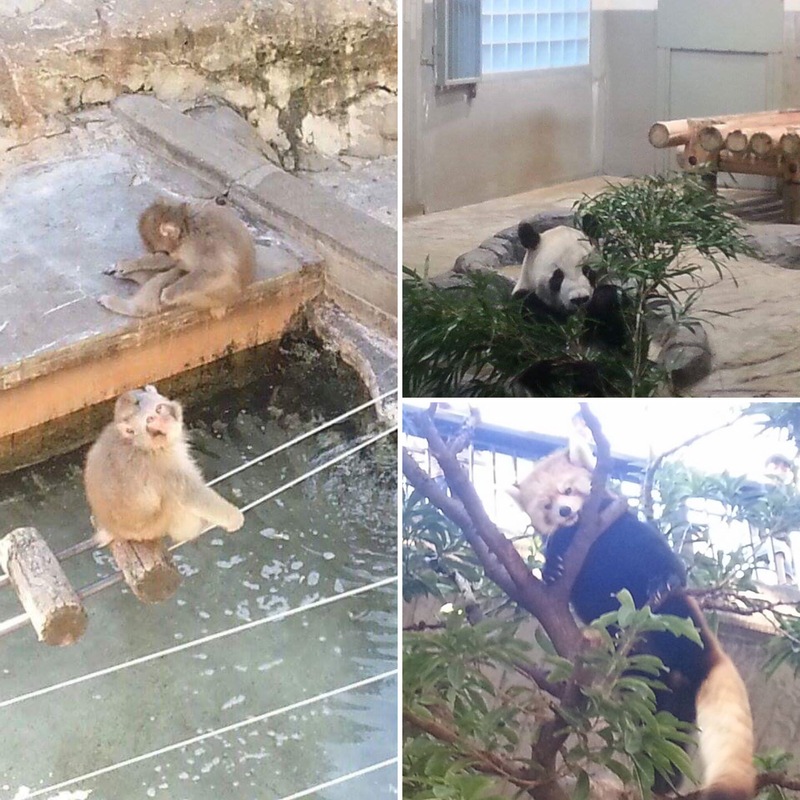 Ueno Zoo is probably Japan’s most famous zoo, and it’s home to all your zoo favourites, including the giant panda! It’s actually right behind Tokyo University’s Hongo Campus, but obviously you can never fit class and an entire trip to the zoo into one day. Having said this, if you wanted to just bob into the zoo and see one or two areas, that would still be worth your money. Because the zoo is SO CHEAP. The adult price is ¥600. Do you know what that is in pounds? Literally about three pounds. For the whole zoo. 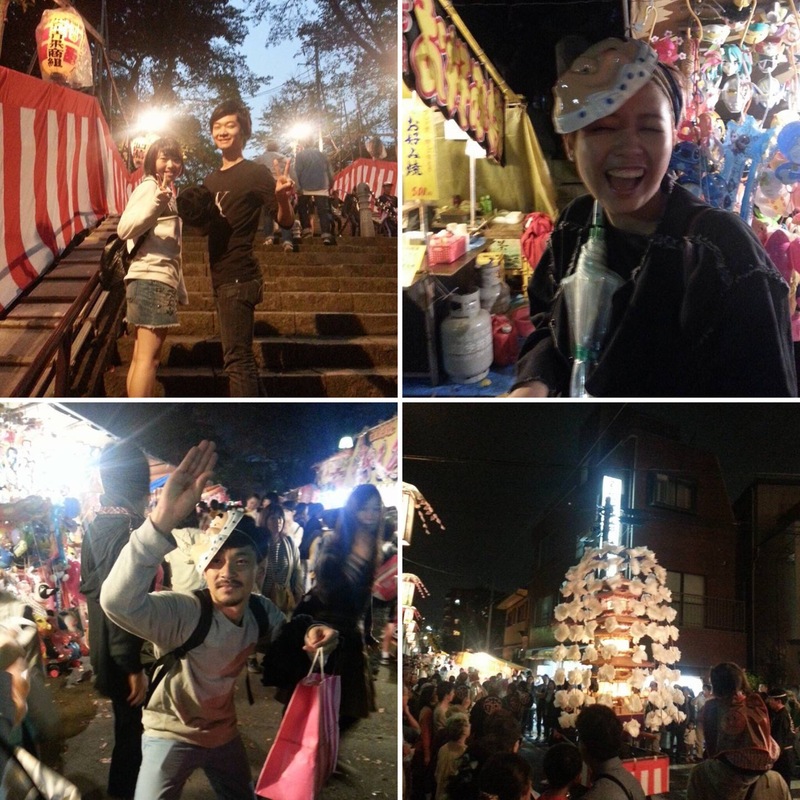 I went to a festival to mark the anniversary of the Monk Nichiren’s death, which sounds morbid but it’s more of a celebration of his life involving amazing decorations, awesome Japanese street food, friends, masks, and just general nighttime temple fun. The event is held yearly around this particular temple, and it seemed like everyone was out in full force! The streets were completely full of people. 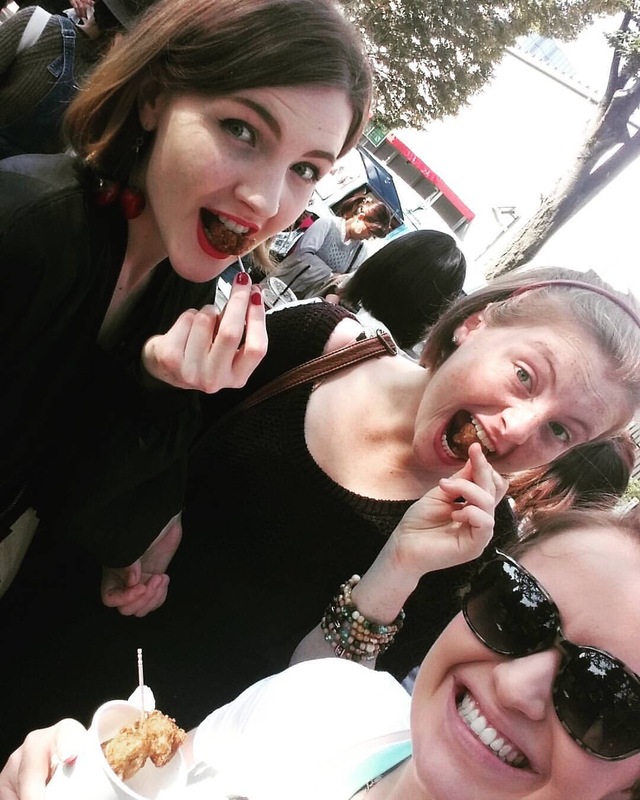 I went to the festival with an ex-Durham/Teikyo student who was actually my son last year! He, his friends and I had a feast at his house before festivities began. It was fun to have switched places! 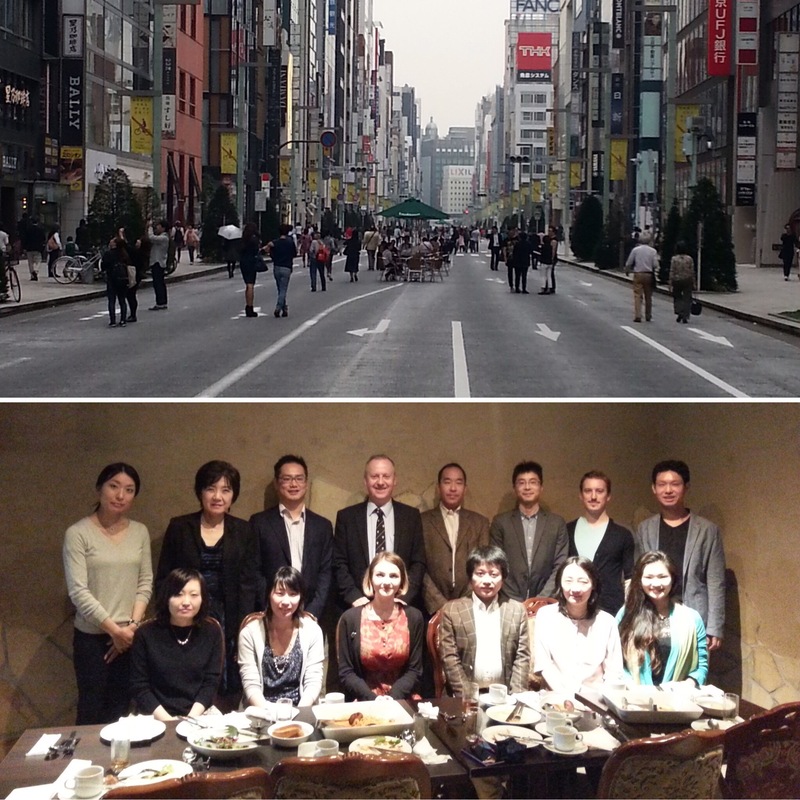 Lunch in Ginza with Durham alumni and the Dean of Internationalisation! Meeting these guys was great! We all had some very interesting conversations with the Dean of Internationalisation, who was doing a short tour of Durham’s links in Tokyo, about how Durham worked internationally and what we could do to strengthen its relationships with other institutions abroad. It was nice to see how my year abroad plays a part in the wider scheme of things, and how as year-abroaders we’re actually really important pillars of internationalisation for Durham, as well as our exchange universities. The alumni were all really nice, and it was great to hear about the sort of stuff they do now and keep it as inspiration (especially since, let’s face it, I will probably move straight back to Tokyo after graduation). It was a very motivating day! And Ginza is worth the occasional visit. In Tokyo! I know, crazy right? Ordinarily, vegan (and generally vegetarian…) food here is pretty hard to come by, but this little festival was a lovely one off! Yoyogi always has great festivals on, and it’s a really vibrant and, well, pretty insane area. The vegan food we eat was yummy, and we also managed to see part of a J-pop female idol group contest (involving a ton of overly-adorable girls singing and dancing on stage with matching costumes to music that is so happy that your ears bleed rainbows). 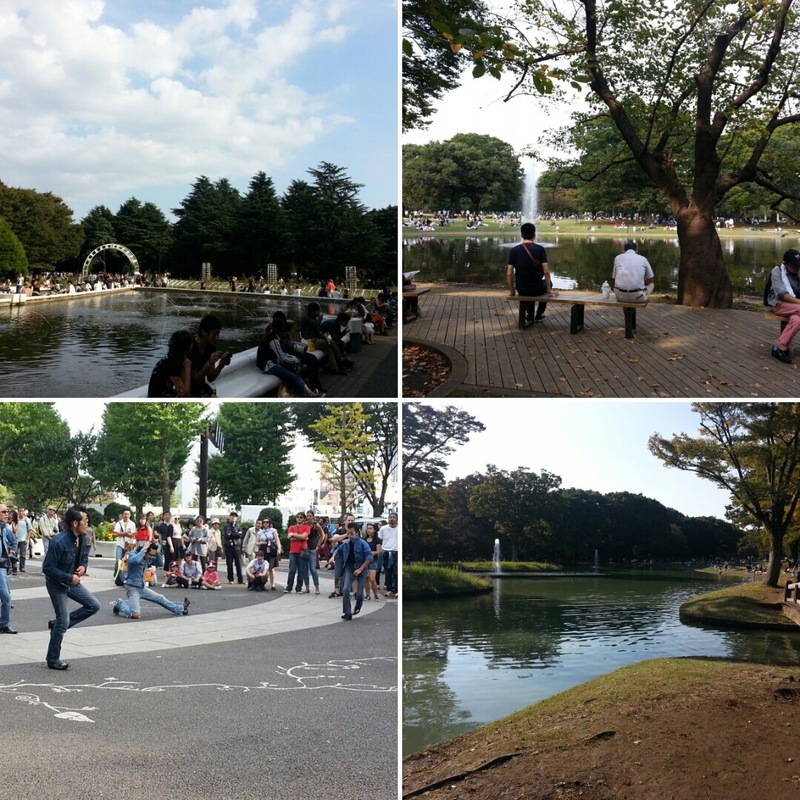 Yoyogi park is a magical place where people from all over Tokyo gather (particularly on a Sunday and when the sun is out) to do literally everything. Huge groups of people gather to practice sports, dance, dress as Elvis, make videos, and walk their pet rabbits, apparently. It’s a super place to chill, as we often do, and it’s right next to Harajuku so there are also usually a lot of people around (often including myself) dressed like really stylish crazy people. Some famous Japanese people sometimes show up, too – I was in the park on the same day as a Japanese model I really like, but I only realised she was there when I got home and checked Instagram. Sigh. I went out with a few club friends last week to Ikebukuro to have lunch and make food samples, pictured here! Japanese resturants always display figures of their meals outside the restaurant so that people can see what they’re getting. Apparently these figures are all made meticulously by hand out of wax! It was so fun to do and really interesting to see the process. The food looks so real in the end that you actually want to eat it. 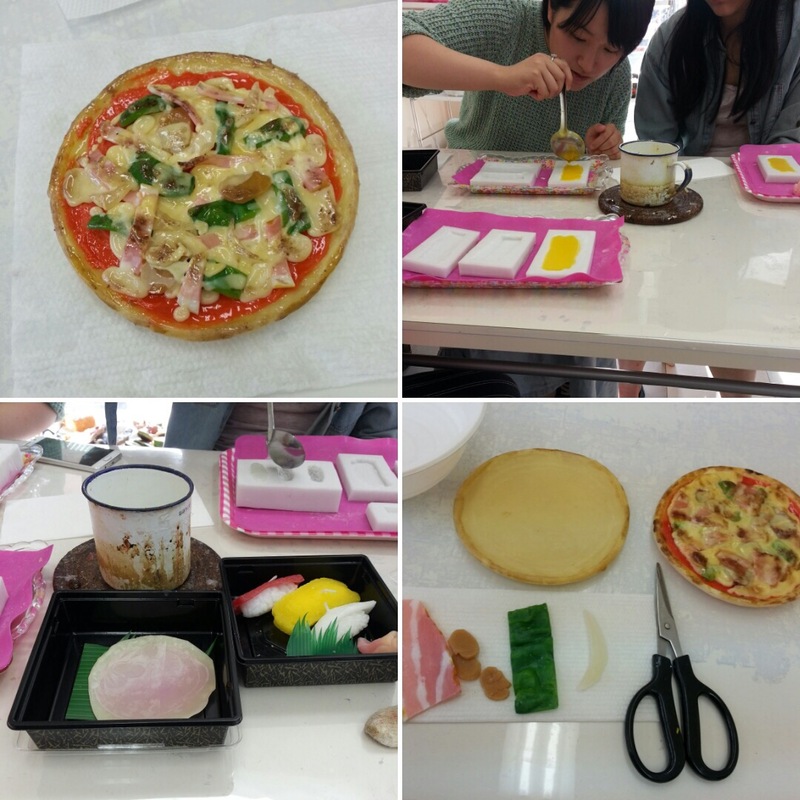 We made wax sushi and wax pizza, and there was a really cute litter girl next to us making a wax parfait which looked amazing. 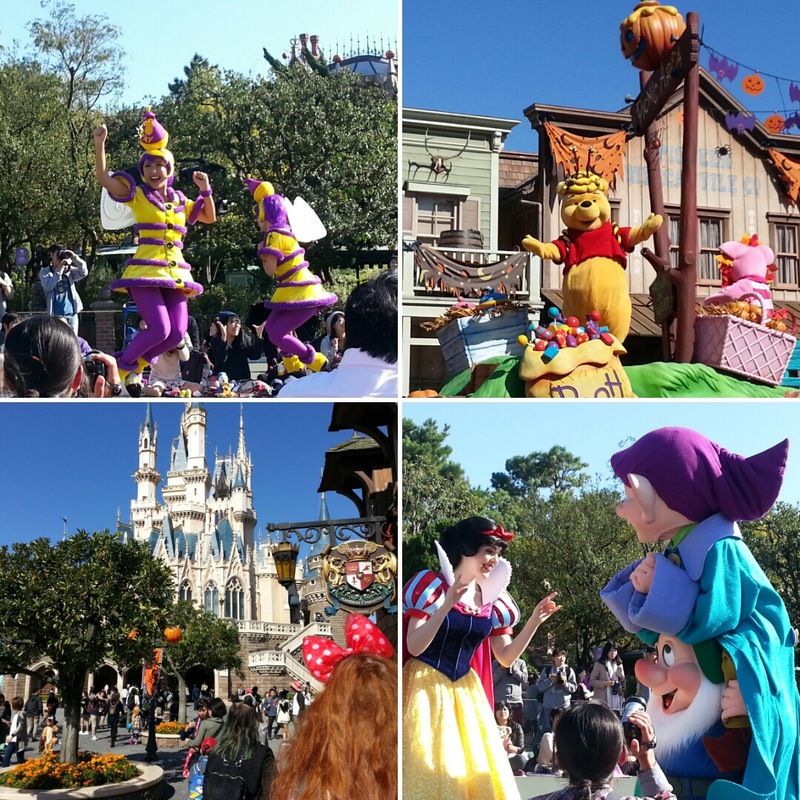 Yup, we went to Tokyo Disneyland. And it was unashamedly the best day ever. It’s about an hour by train from our dorm. 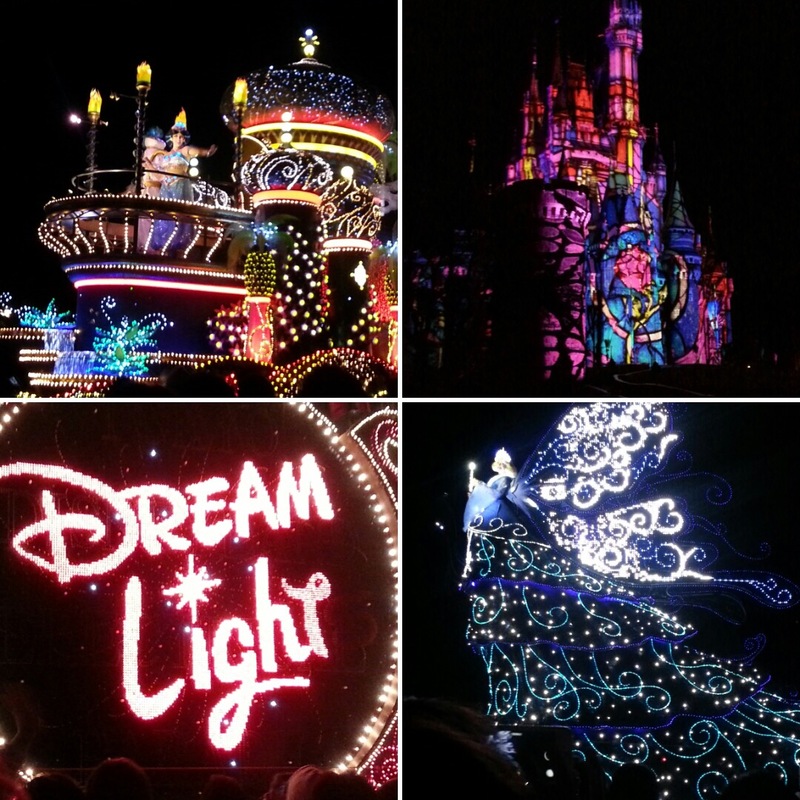 And Tokyo Disneyland is totally OTT and amazing. Just look at these lights how’s. We got our own Lumiere on the Disney castle. I hope this gives an accurate impression of how weekends in Tokyo can be literally anything: from park life, to meetings in Ginza, to pandas to random activities like making wax sushi, to temples, to Disneyland. The madness is unlimited.